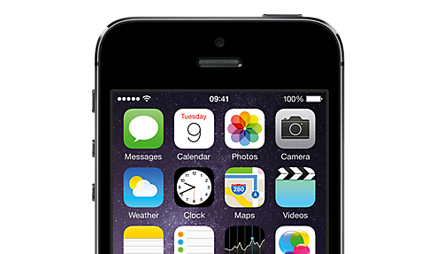 Small, but perfectly formed, the budget-friendly iPhone 5s offers a stunning screen for all your video, gaming and internet browsing needs. Measuring in at 4 inches, this pin-sharp Retina display offers stunning visuals without taking up too much pocket space. You can also stay in touch with loved ones thanks to with HD video calls. The front-facing HD FaceTime camera on the 5s lets you turn your screen into a video-call display, adding a personal touch to your communications. 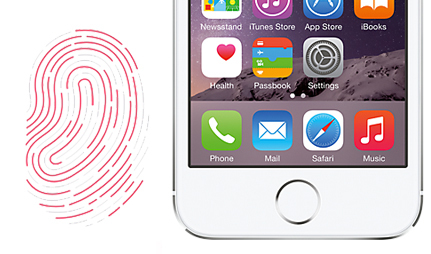 Ensure your sensitive date is kept safely under locked away thanks to Apple’s advanced Touch ID security software. With a fingerprint sensor located under the display, you can protect your info with a simple tap of your finger. As well as a handset lock, the Touch ID sensor can also be used for online transactions through Apple’s various digital media stores. Just use your fingerprint to authorise a purchase in seconds, and make shopping a breeze. 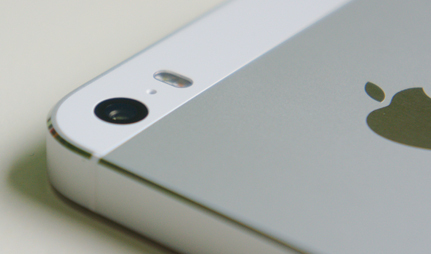 Make the most of any photo opportunity with the 8 megapixel iSight camera on the 5s. With a large aperture lens of f/2.2, you’ll enjoy clearer photos, even in low light conditions. If extra light is required, there’s a TrueTone flash to ensure a quality colour balance with every snap. With added features including automatic image stabilisation and dynamic tone mapping, you can let the 5s do all the hard work when it comes to capturing the perfect picture. There’s even a 10 frame-per-second burst mode that takes a cluster of images and lets you chose the best of the bunch.